^ a b Bechaus-Gerst, Marianne; Blench, Roger (2014). Kevin MacDonald, ed. The Origins and Development of African Livestock: Archaeology, Genetics, Linguistics and Ethnography - "Linguistic evidence for the prehistory of livestock in Sudan" (2000). Routledge. p. 453. ISBN 1135434166. Retrieved 15 September 2014. ^ a b Behrens, Peter (1986). Libya Antiqua: Report and Papers of the Symposium Organized by Unesco in Paris, 16 to 18 January 1984 - "Language and migrations of the early Saharan cattle herders: the formation of the Berber branch". Unesco. p. 30. ISBN 9231023764. Retrieved 14 September 2014. ^ "Dr. Stuart Tyson Smith". ucsb.edu. ^ "Hierarchy and heterarchy – the earliest cross-cultural trade along the Nile". www.academia.edu. Retrieved 2016-06-08. ^ Roy, Jane (February 2011). The Politics of Trade:Egypt and Lower Nubia in the 4th Millennium BC. Brill. p. 215. ISBN 9789004196117. Retrieved 16 June 2015. ^ "The C-Group people in Lower Nubia, 2500 – 1500 BC. Cattle pastoralists in a multicultural setting". www.academia.edu. Retrieved 2016-06-08. 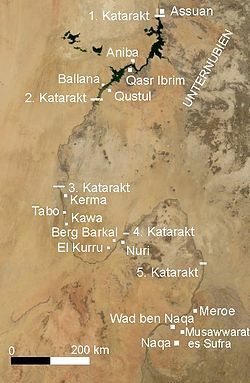 ^ "Between Kush and Egypt: The C-Group people of Lower Nubia during the Middle Kingdom and Second Intermediate Period". www.academia.edu. Retrieved 2016-06-08. ^ "The Kingdom of Kush: An African Centre on the Periphery of the Bronze Age World System". www.academia.edu. Retrieved 2016-06-08. ^ "Elkab's hidden treasure". Al-Ahram. Archived from the original on 2009-02-15. ^ Curtis, John; Simpson, St John (2010). 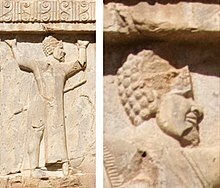 The World of Achaemenid Persia: History, Art and Society in Iran and the Ancient Near East. I.B.Tauris. p. 222. ISBN 9780857718013. Wikisource has the text of the 1911 Encyclopædia Britannica article Nubia.